1 Box Soy Milk, unsweetened, 32 oz. 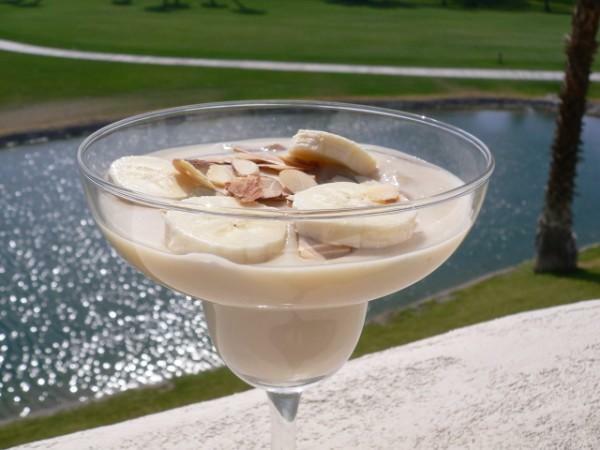 1 Can Coconut Milk, light, 15 oz. Place soy and coconut milk into a sauce pan. 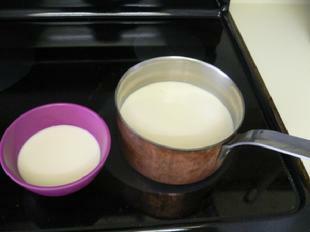 Remove one cup of the milk from the pan and place it into a small bowl. Add maple syrup and vanilla to the pan. 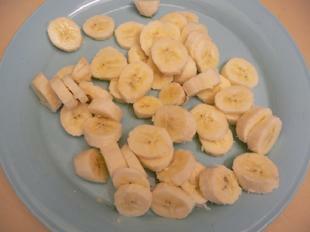 While the milk is heating, peel and slice 3 ripe bananas. 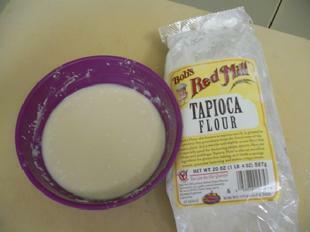 Add 10 tablespoons or 1/2 cup plus 2 tablespoons of tapioca flour to the reserved milk. Use a small whisk to dissolve the flour into the milk. Make sure that the flour is fully dissolved and no lumps are visible. Warm the milk on the stove, stirring from time to time, with a rubber spatula. 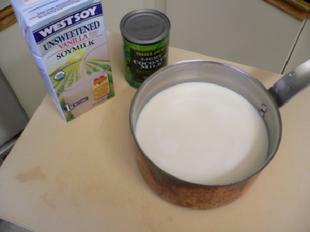 Do not use a whisk as it will add air and foam to the milk. Heat the milk all the way up to just under a boil. 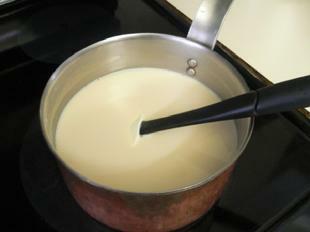 Using the same small whisk, give the tapioca one last stir and slowly pour it into the hot milk. Switch back to the rubber spatula and continue to cook and stir the pudding until it comes to a boil. Boil for one or two seconds and remove from the heat. 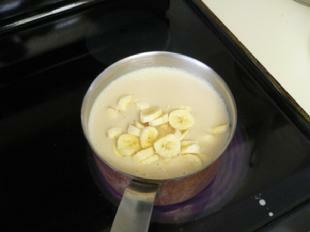 Mix bananas into the pudding and let cool for 10 minutes. Ladle pudding into cups and serve. Can be eaten hot, warm, cool or cold.